'MLM' The American Dream Made Nightmare: The 'Enron (ENE)' fraud versus the 'Herbalife (HLF)' fairy story. 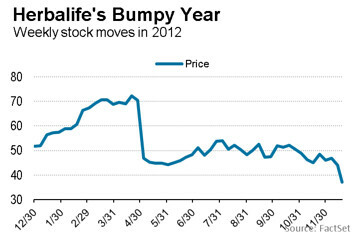 The 'Enron (ENE)' fraud versus the 'Herbalife (HLF)' fairy story. If you disregard what finally happened to 'Enron,' then this multi-billion dollar fraud, and the multi-billion dollar version of the 'MLM Income opportunity' fairy story entitled, 'Herbalife', are remarkably similar, in that they both survived for many years by hiding in plain view; for right under the noses of a flock of dunces with diplomas (i.e. legally-qualified US regulators, financial journalists, politicians, economists, US law enforcement agents, etc. ), the market price of shares in both these effectively-valueless corporate structures was maliciously inflated, and maintained, by the constant repetition of mystifying lies, and half-truths, and the withholding of key-information. In both cases, the narcissistic racketeers behind 'Enron' and 'Herbalife' were assisted by echelons of amoral attorneys (some of whom were former US regulators), accountants, stockbrokers, bankers, economists, academics, financial journalists, politicians, etc., and it became against the interests of almost everyone concerned (particularly, major investors) even to consider the truth in private, let alone face reality and blow the whistle in public. We all now know that, in reality, 'Enron's' massive, and chronic, hidden trading losses were merely being off-loaded onto an expanding labyrinth comprising hundreds of legally-registered corporate structures, which (to casual observers) gave 'Enron' itself the appearance of perpetual expansion and prosperity. Similarly, some of us have already worked out that massive, and chronic, hidden losses have been off-loaded onto an endless-chain comprising millions of ill-informed persons whose unlawful investment payments have been laundered as 'sales,' and who have been arbitrarily defined in their take-it-or-leave-it contracts as 'Independent Distributors.' Yet again (to casual observers), these crimes have given 'Herbalife' itself the appearance of perpetual expansion and prosperity. Interestingly, just as in the case of 'Enron', there are far too many intellectually-rigorous observers who now know exactly how the 'Herbalife' racket has functioned. Thus, making it an inevitability that it too will eventually collapse. Readers of this Blog should also be aware that, in the late 1990s, the bosses of the 'Enron' racket hatched a deal with the bosses of the 'Amway' racket, and the two gangs then used numerous deluded adherents of the 'MLM Income Opportunity' fairy story, to commit related-frauds in California. Although briefly-reported by the media, these particular crimes have never been fully-investigated, let alone prosecuted. 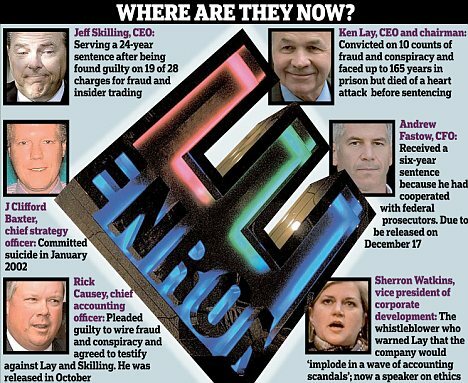 Ambots pushed Enron in California.